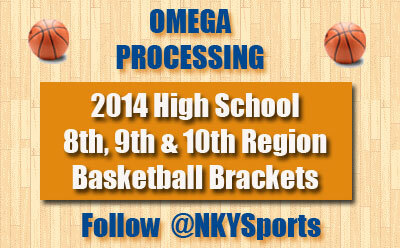 Follow NKYSports.com for all the updates on the 8th, 9th, and 10th Region boys and girls tournaments. You can follow us on the website, Facebook, or Twitter. We'll have LIVE up-to-date scores and news on all the NKY basketball action. We will also be webcasting the boys' 9th Region Tournament in audio LIVE from the Bank of Kentucky Center. Check back for the webcast schedule.